recommended for: Fans of Far From You by Tess Sharpe, Dark Places by Gillian Flynn, and other dark, character-driven psychological thrillers. This review is going to be short and sweet, like this book. Well, "sweet" is another way to say "psychological thriller mindtrip," I suppose. Thomas establishes herself firmly in the small but fierce world of young adult thrillers with this twisty, treacherous debut. Dive in and put on your water wings, friends, because you're going to need them. Welcome to Fayette, small-town USA with a dark past. Tessa is only back to visit her dying father in prison--but finds herself embroiled in an old mystery: what really happened the night when she and her ex-bestie Callie saw Callie's cousin Lori kidnapped? Was it really Wyatt Stokes, who sits on death row for Lori's murder? It's a set-up worthy of Gillian Flynn (think Gone Girl and Dark Places) and Thomas executes it with masterful precision. From page one, she layers her prose with a procedural tightness and sense of eerieness, of wrongness, building up an atmosphere of suspense that leaves you forever uneasy. She throws out little breadcrumbs of knowledge at the right pace, letting you get sucked into the mystery and pulled along one wrong path while she prepares for the smack of a twist. There were parts that tend to be sticking points for me in young adult mysteries. Teens being overly adept sleuths and getting away with questionably legal things. Adults being unbearably obtuse. A few overly convenient plot points. Some major suspension of disbelief. (We can't all be Gillian Flynn.) That said, Thomas also managed to surprise me, which doesn't happen often, and it was a surprise with such a clever lead-up that I got to enjoy one of those "Aha!" moments of satisfying revelation. A solid foundation for the twists of the murder mystery is the constellation of Tessa and her family and friends. Tessa is a brusque, quiet girl, prickly but endearing. Her friend Callie is a compulsive party-girl. Their fractured friendship is as central to the story as the murder, and mending the cracks as much a plot-driver . Even more than her crime chops, Thomas shows mastery in the delicacy and poignancy of Tessa's dysfunctional family and friendships, and Tessa's own struggle to fit the night of Lori's disappearance into her self-concept. If you're looking for a quick read that will having you white-knuckling it page after page, Thomas' debut is your perfect next read. While not mind-blowing, it's solidly memorable and wildly entertaining. Fellow crime junkies, assemble! 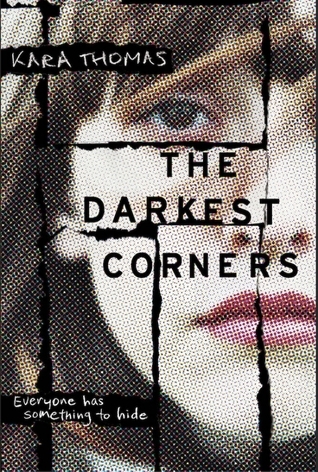 The Darkest Corners is a dark, twisty thriller that brings domestic drama to the young adult scene. will i read this author again? Yes! I'm so excited for her newest! 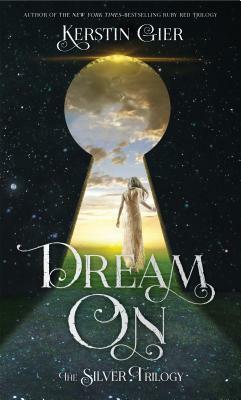 Note: I received this copy from an ARC tour unaffiliated with the publisher. The price of the book and its origin in no way affected my stated opinions.